Access to azadlig.info (Azadliq newspaper’s website) and azadliq.org (the website of Radio Liberty’s Azerbaijani Service) have been blocked in Azerbaijan as of around 5 pm on 27 March. There is no problem in accessing the websites from abroad. If previously meydan.tv (online channel Meydan TV’s website) was blocked in Azerbaijan, now the above-mentioned websites can also be visited by Azerbaijani users only through software programs changing the IP address (ProxySite.com, etc) because of these sites being blocked by government internet providers. Recall that, on 10 March, amendments were introduced to the laws on “Information, Informatisation and Protection of Information” and on “Telecommunications” by Milli Meclis (Parliament). 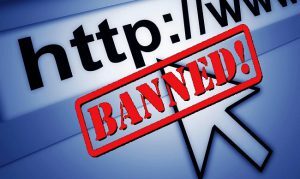 According to the amendment, in the case of detection of prohibited information on a website, the relevant executive authority (expected to be the Ministry of Transport, Communications and High Technologies) will immediately warn the website and its host provider. Upon receipt of the warning, the website owner is obliged to immediately remove that information from the website. Unless the prohibited information is deleted within 8 hours of warning, the relevant executive authority shall appeal to the court to restrict the website. If the information poses a danger for the state or society, the relevant authority will shut down the website without a court decision and then apply to the court. Access to the website restricted by the authority will be blocked until the completion of judicial review. The court will consider this appeal within 5 days. * Other information prohibited from dissemination by laws of Azerbaijan. Note that, the managements of the editorial offices have not been informed about the blockage of access to the websites. This step serves the strengthening of the government control of the online media.